Where Are My Sticky Notes When I Need Them? Since April 6, 1980, when Post-it-Notes debuted for public consumption, people have been awed by the usefulness of these paper, restickable and handy notes. 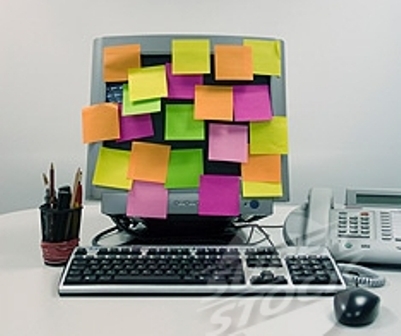 In the web2.0 era several companies have created “Sticky Note” sites for folks to be able to use electronic versions of Post-it-Notes. Teachers in the classroom have started using them as well. This post will give you more information about one such site and its usefulness in the classroom. Lino it – Online Stickies is a free sticky & canvas service that requires nothing but a Web browser. You can access Lino from your home, office, or even on the road and post a sticky note online whenever you need! You can follow @lino2008e on Twitter and Facebook. It also comes in an app for the iPhone, iPod and iPad. Lino features a customizable canvas (Your own corkboard!) to post your notes on. It is fun to use for all ages. There are tons more ways that you can use online sticky notes in the classroom. Please share ways that you have used them in your classroom below in the comments. ← When Was the War of 1812 Fought?